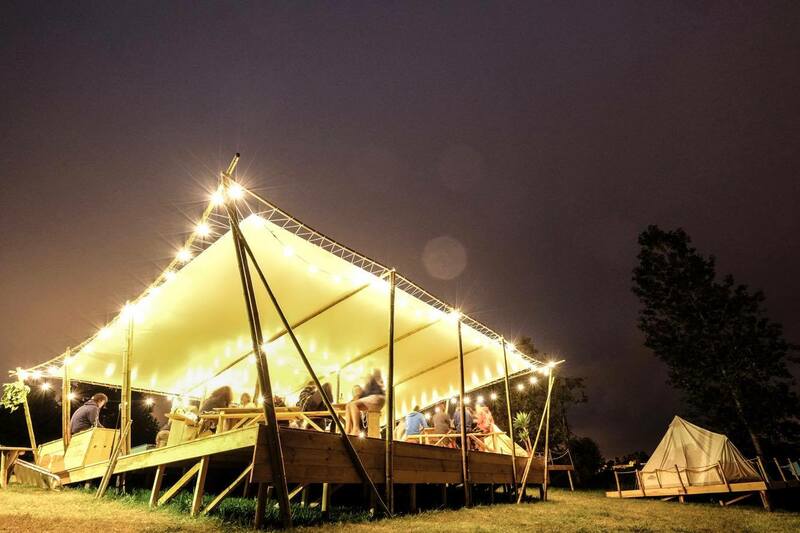 Our camp in Oyambre close to Santander is made up of our bespoke, spacious tipi tents, a cool seating area for entertaining, socialising, eating, an outdoor cinema area, a large chill-out zone with sun loungers and hammocks, a big Yoga tent, plus storage, surf and SUP equipment tents. 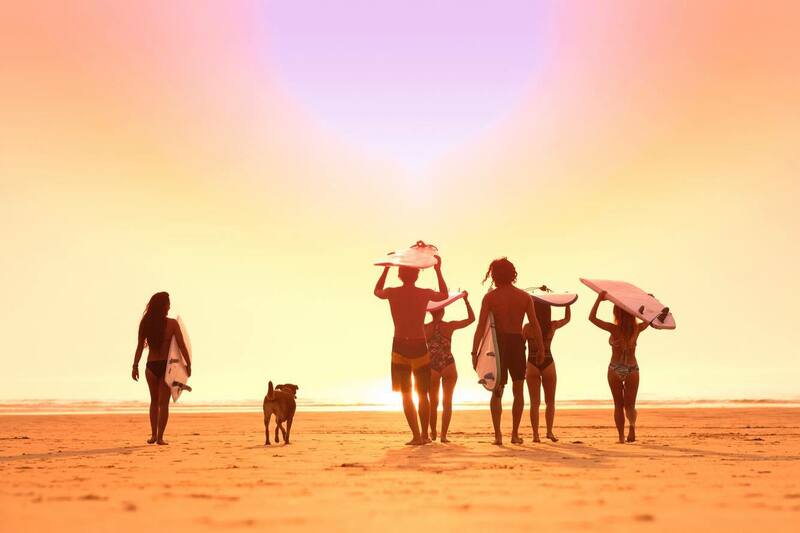 We’ve also got a volley ball court, table tennis and balance trainers, skate- and longboards, beach cruisers, a variety of beach games, and we also provide you with surf, SUP, Yoga and exercise equipment all free to use! Our camp is part of a larger campsite which also hosts other holiday makers. 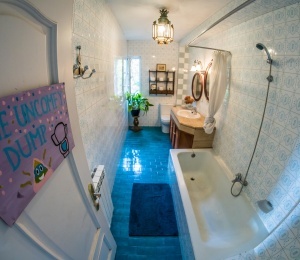 It is equipped with several bathroom and shower facilities as well as sinks and mirrors that are available 24/7. 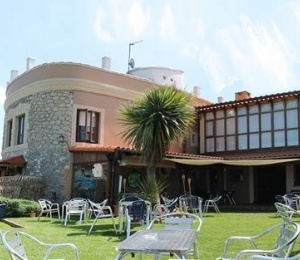 This campsite also includes a pool area, a basketball court, a Café and bar. And yes, there’s internet! 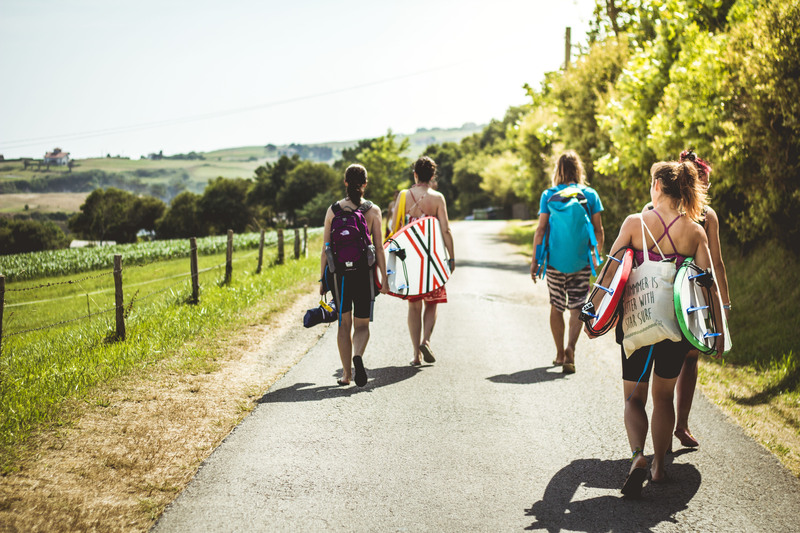 Free access to camp equipment, such as balance boards, skateboards, beach games, etc. 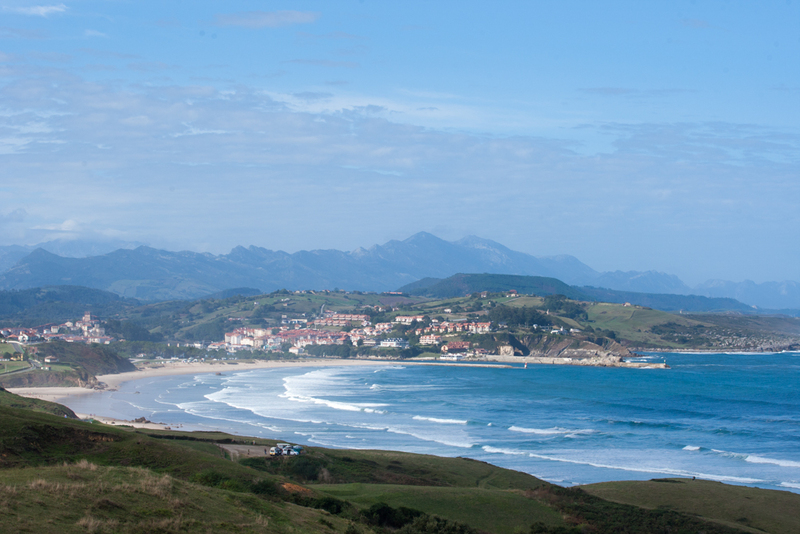 If the water’s a little bluer, the sun a little brighter, the people a little friendlier and the clocks go a little slower than anywhere else in the world, you’re in Cantabria, the beautiful North of Spain! 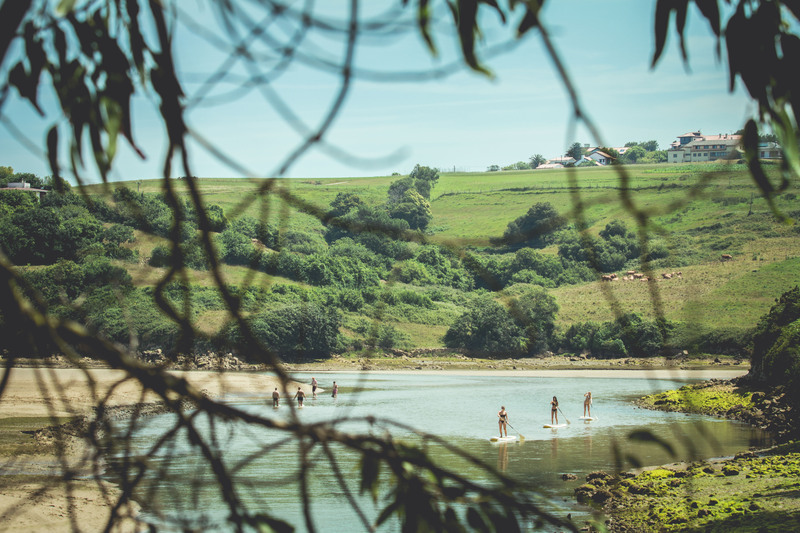 In our brand new activity camp, we teach you how to surf, practise all-level Yoga on stunning beach fronts and take you out on exciting Stand Up Paddle adventures to explore the azure coastline of the beautiful Bay of Biscay! 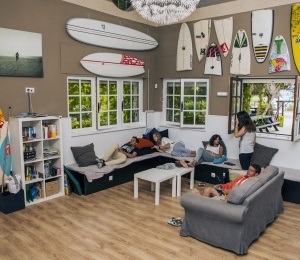 You’d like to enjoy the great outdoors and live the surf camp lifestyle in harmony and contact with nature, but don’t want to compromise on everyday comforts and a good night’s rest? 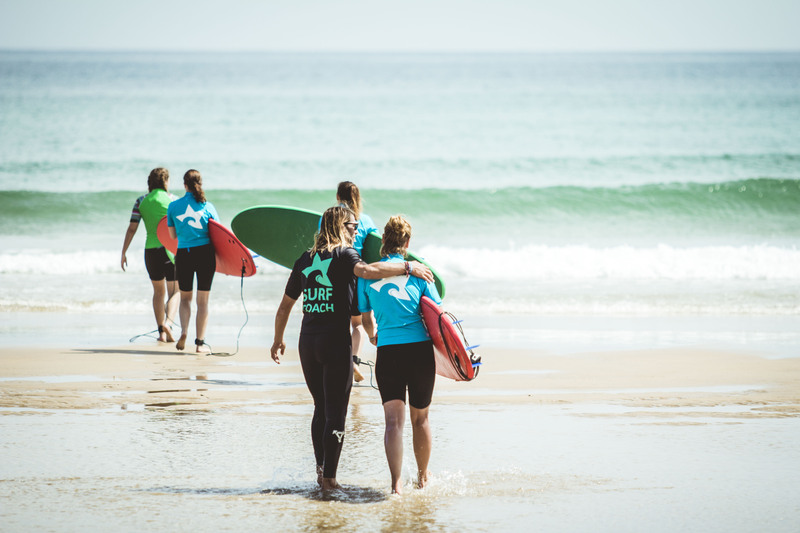 Then join us in Santander for the perfect surf camp holiday experience in our brand-new and spacious bell tents. 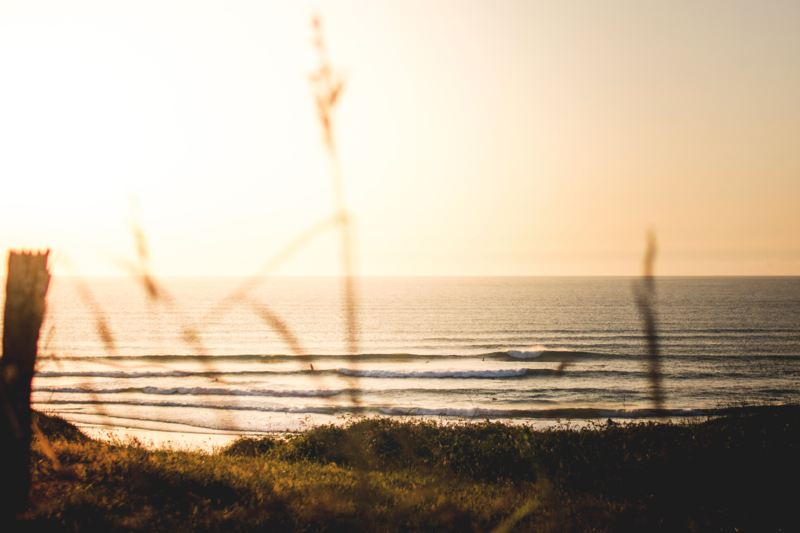 We know how important a comfortable home and a good night’s sleep are when surfing and being outdoors all day. We also provide you with a high quality memory foam mattresses to ensure the perfect night’s sleep under the stars. All our mattresses are allergy free, high density and super comfy! Please bring along you own pillow, a sleeping bag or bedding. 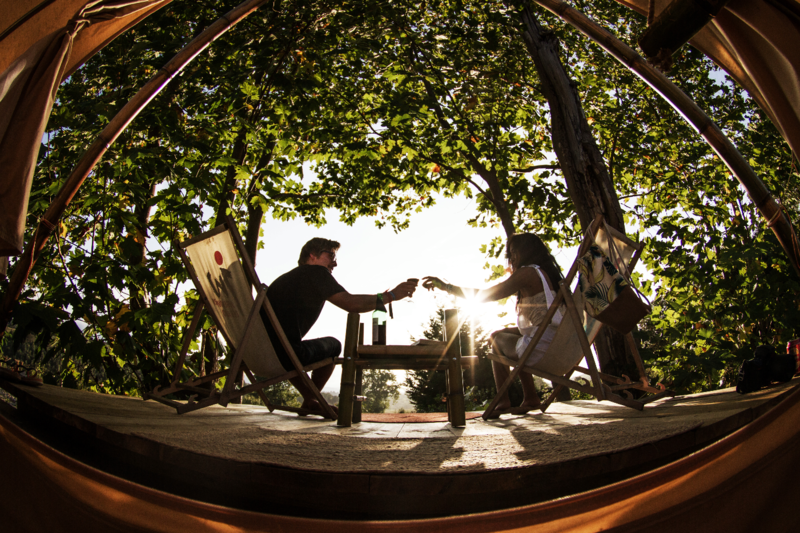 If you’re joining us with your best mate or partner on your surfing holidays, how about some more privacy? 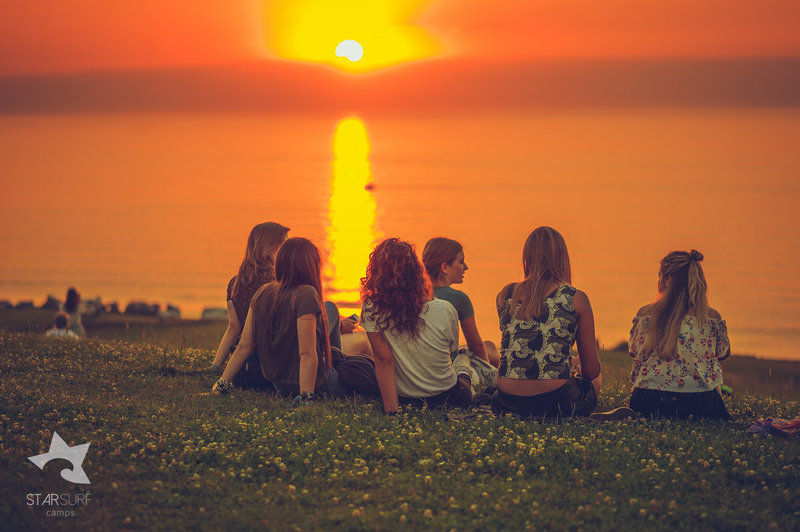 UPGRADE to one of our Private Tents for just 35€ pp/ week in the low season and €50 pp/week and get one of our beautiful bell tents to yourselves! 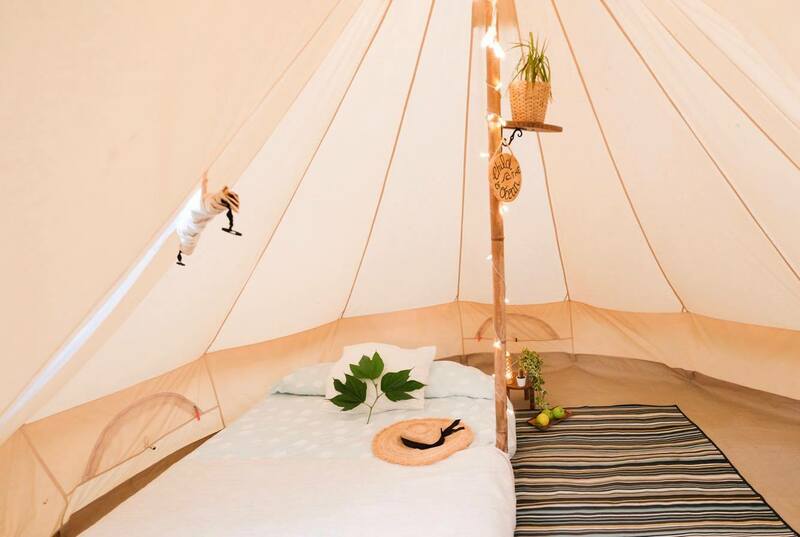 Our private tents are the same large 8-man tipis and come with our high quality mattresses, either as two singles or one double, and simply make the perfect surf holiday hideaway for two! Or if you’re travelling together with your family, we also offer Family & Group Tents, all with the same warm treatment, comfort and luxury. 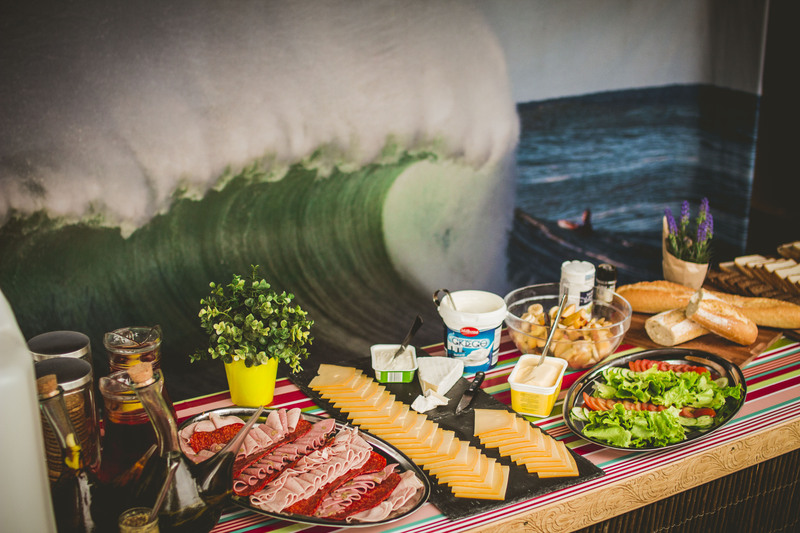 Northern Spain’s consistent waves are known to be among the best in the world. 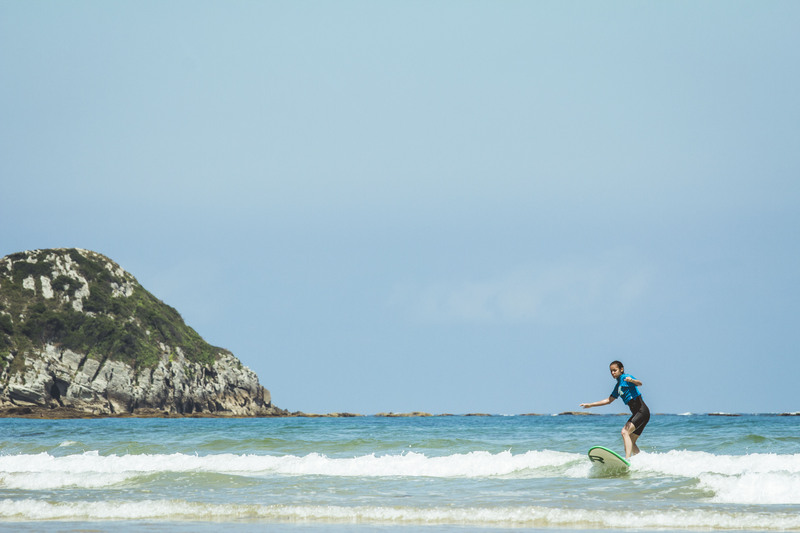 With great conditions for all surfing and SUP abilities, the Santander area is perfect for longboarding, first-timers as well as for those wanting to improve existing SUP skills. 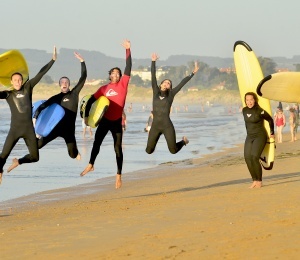 All our instructors are fully qualified so you are in safe hands. SURFINN © 20-04-2019 04:47:21. ALL RIGHTS RESERVED.